Trailhead: Take Hwy 431 (Mt. Rose Hwy) north from Incline Village. Park at the trailhead one mile before (south of) the summit. Description: Mt. 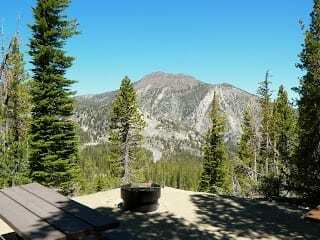 Rose is one of the highest peaks near Lake Tahoe and offers spectacular views of the Lake, Reno and the Tahoe basin. Follow a dirt road for 3 miles through a forest full of Lodgepole, mule ears and sagebrush. A meadow at the halfway point bears lupine, paintbrush and larkspur. The last two miles follow slippery switchbacks to the ridge line. Don’t forget to sign the log book when you make it to the top.